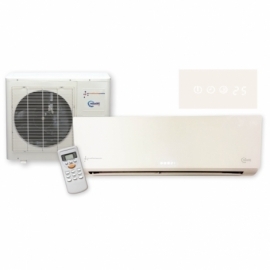 This Digitemp WHP245N from Xpelair is designed specifically to provide circulation of hot air during cold periods and cool air during hot periods in both commercial and domestic premises. 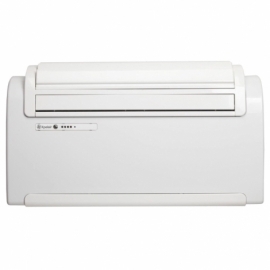 The Digitemp is a self contained air conditioning unit, that can provide climate control for homes and offices alike. 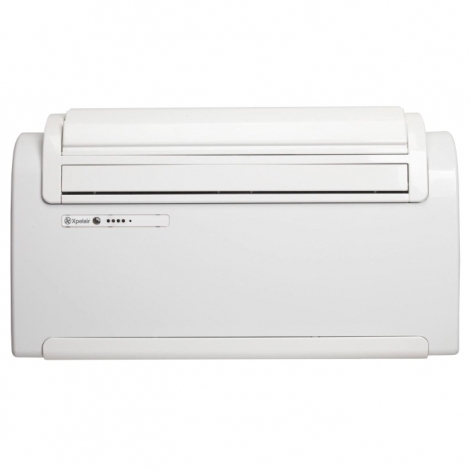 It is ideal for use in bedrooms, conservatories, living spaces, studies and small commercial offices. The unit has no external condenser and consequently can be installed at a high level or a low level and only two 155mm external holes are required. Because of this innovative design it is possible to install Digitemp units in some listed building applications. As no gas connection or commissioning is required which makes these self contained units easy and quick to install. The only sign of the system on the outside of any building being is discreet grilles due to the fact that Digitemp can be mounted at high or low level with the installation being internal. Installing Digitemp from within the room at high or low level is quick and easy. The Digitemp range is suitable for use in some Listed Building applications. The refrigerant system is factory sealed so installation does not involve opening the system or the connection of any hoses. Digitemp can only be positioned against an outside wall. Where possible the unit should be sited in the centre of the wall. Self diagnostic programme supplied, for all maintenance requirements. Two 155mm diameter holes are core drilled at a sloping angle towards the outside. Diameter must not be reduced or restricted. All indoor wall bracket and ducts are fitted. Patented, folding, outside inlet and outlet grilles are installed from within the room. Unit should be fixed to the bracket with ensuring it is perfectly level. The unit is wired to a fused spur.